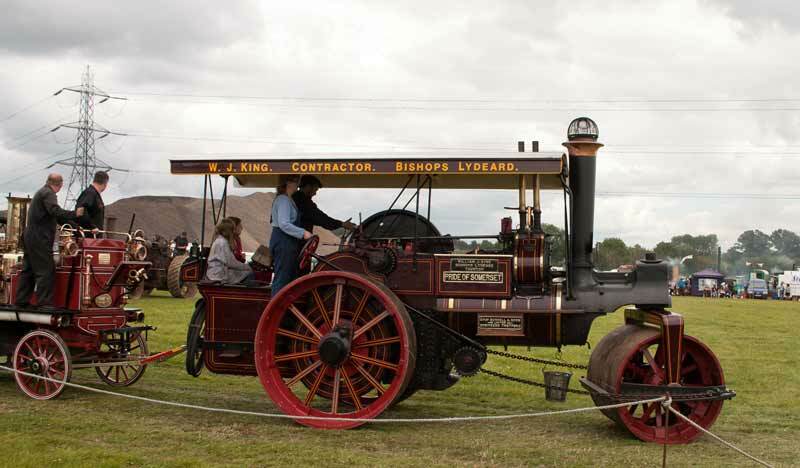 The 2011 WSRA Steam & Vintage Vehicle Rally was held at Norton Fitzwarren on 5 & 6 August. First off a 1912 Burrell A Type Roller Pride of Somerset with a ballast heaps in the background - handling this used ballast has funded the development of the railway triangle here. 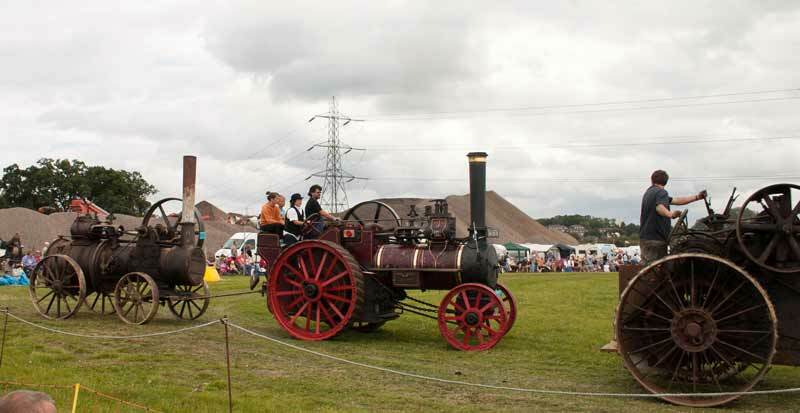 1906 Aveling & Porter RC8 Roller towing an agricultural implement and an unrestored traction engine that shows just how much work has gone into restoring the engines working here. 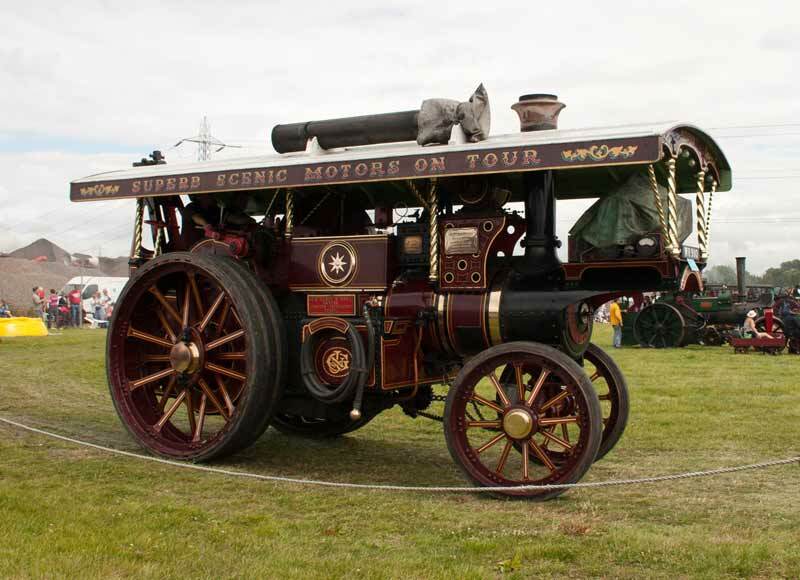 Pride of Somerset again, it is in the colours of a well known local firm of the past - and is towing a Merryweather Steam Fire Engine which would originally have been horse drawn. A closer view of the Aveling & Porter RC8 Roller with its "followers". 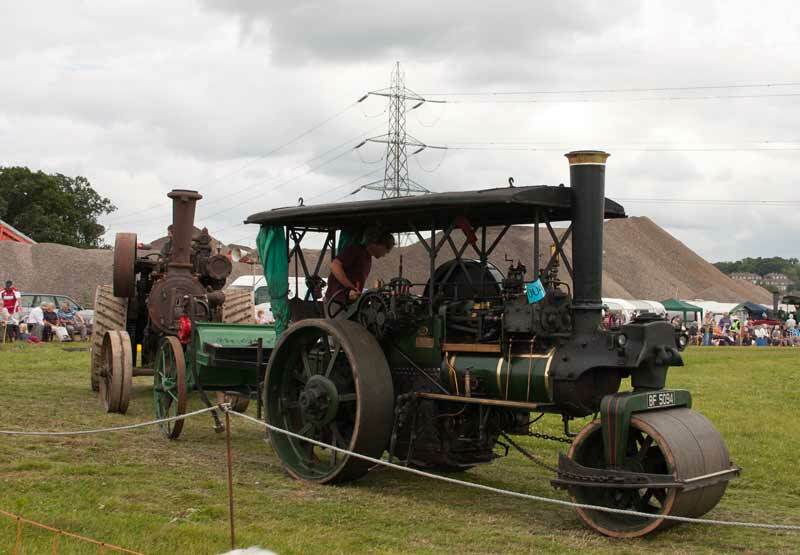 A 1906 Marshall 14nhp traction engine towing an unrestored "portable" engine. 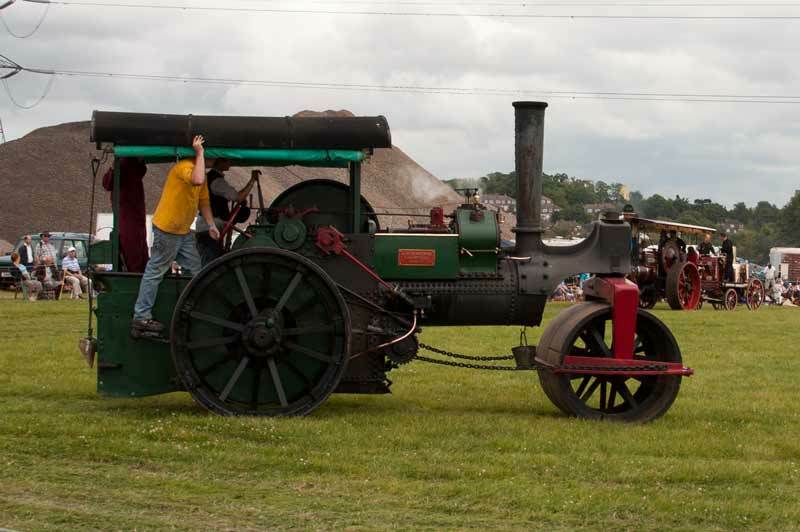 No details to hand of this steam roller. 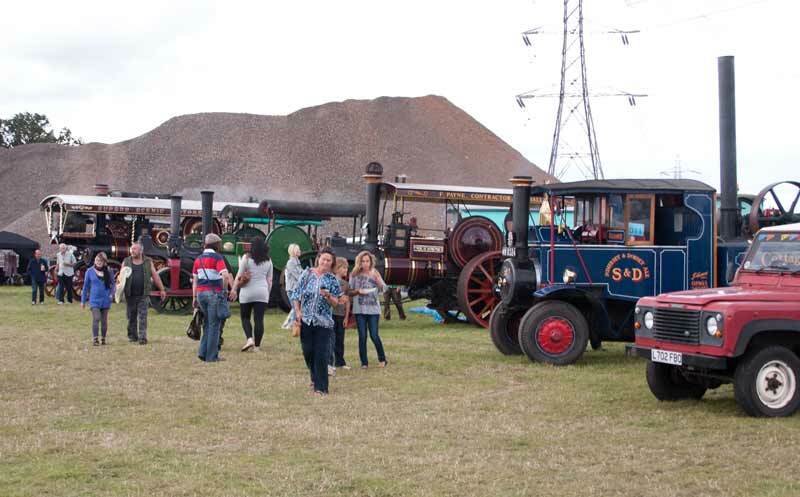 A panorama of full size engines lining up as the miniatures start to parade. 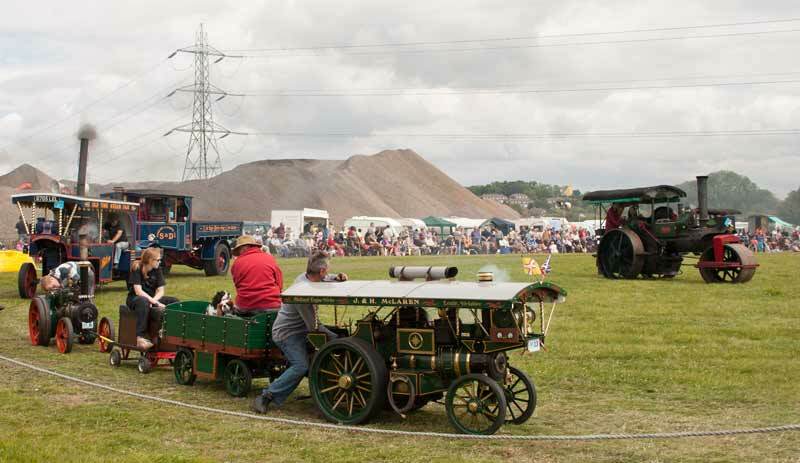 A miniature showman's engine with a train behind - and two Cavalier King Charles Spaniels having a ride. 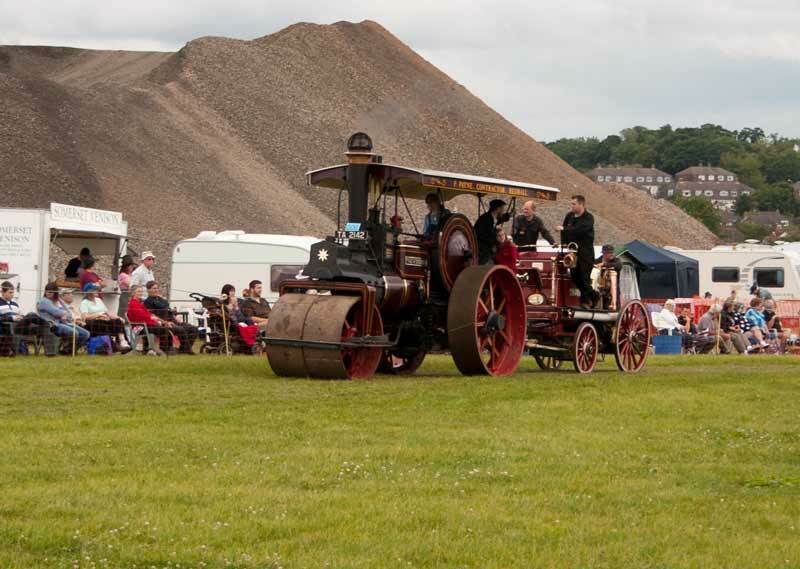 1913 Burrell Showman's Engine Perseverance The Second. 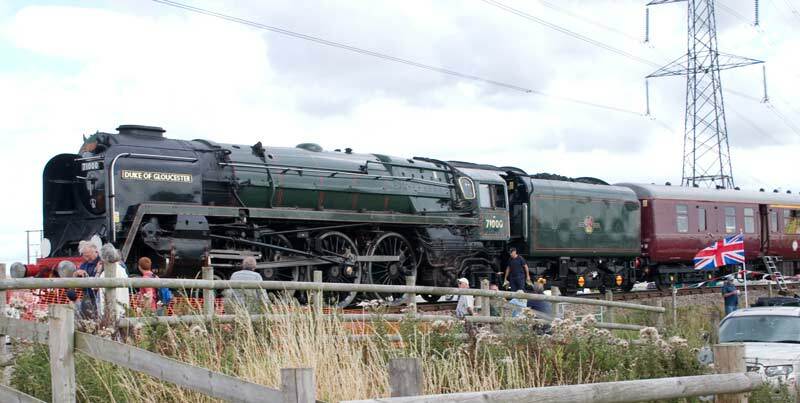 A line up of steam after they came out of the ring. 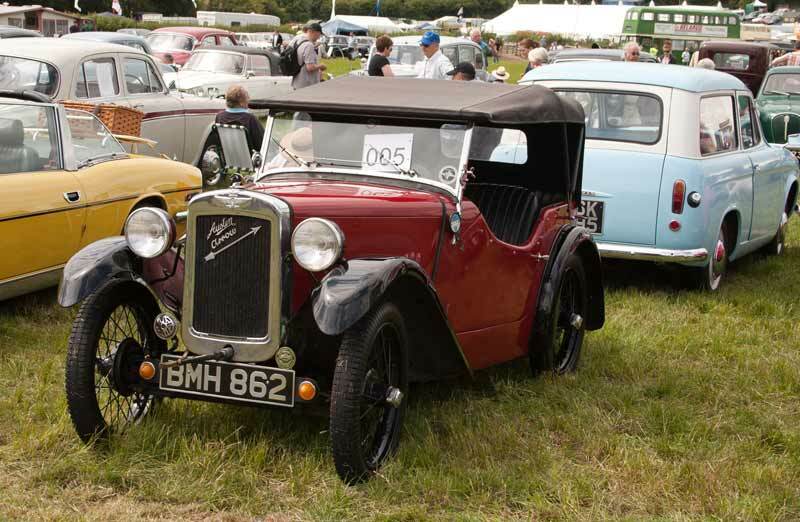 Only one photo of a car, a 1935 Austin Seven Arrow - with my wife's initials on the reg. no.! Wish I'd taken one of the Hillman Husky behind though. 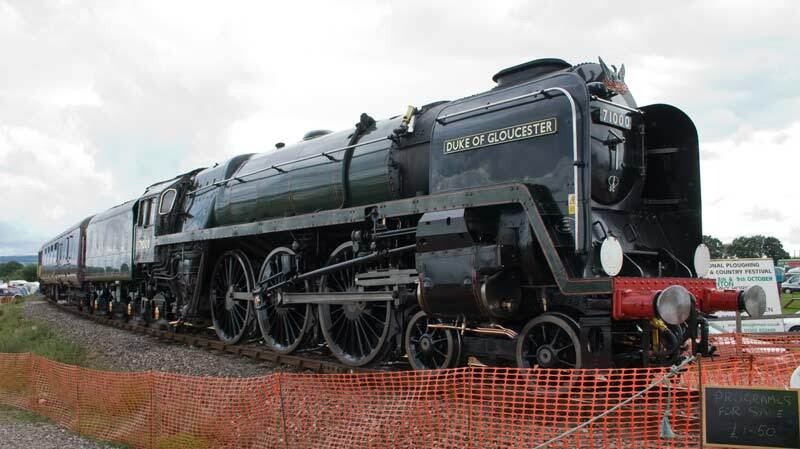 Standing on the new triangle BR Std 8P Pacific 71000 Duke of Gloucester.